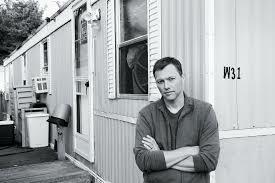 Harvard professor and 2015 MacArthur 'genius' Award winner, Matthew Desmond, speaks about his groundbreaking new book, Evicted. Based on study of housing and poverty in Milwaukee, it sheds light on the universal truth that without a home, everything else falls apart. He will be in conversation with Evening Standard columnist, Rosamund Urwin.